Paralyzed by fear. Driven by feelings. Ready to throw in the towel. 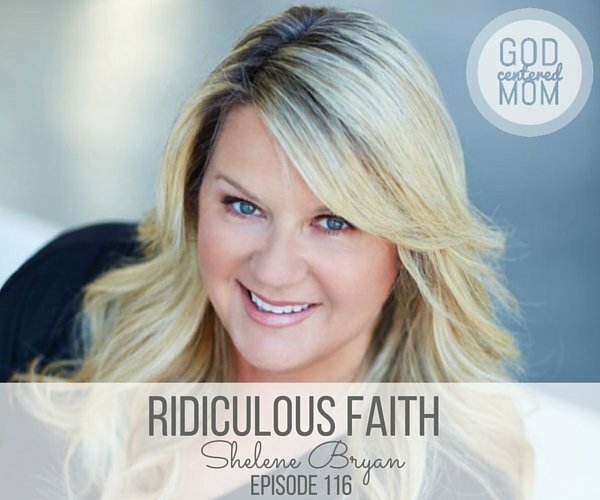 Today’s podcast guest is Shelene Bryan, former Hollywood producer and author of new book, “Ridiculous Faith”. This mom of two teenagers can preach. And the Biblical truth she shares reminds us that the God who moves mountains is on our side. He is in the victory business. We just need to keep our eyes fixed on Him and not our fears of failure. The only thing our kids need to know is to follow hard after Christ. Who cares if they go to Harvard if they are going to Hell. If you need a centering pep talk, then this episode is for you. Focusing your eyes on who God is and allowing Him to work through you and your kids. Instead of fearing, protecting and crafting a “perfect” future for your family, you can serve, surrender and allow God to be the hero of your story. Benefit of having mom friends in a stage ahead of you. Insight for the mom deciding whether to stay home full-time. Following the two commands God has given us, instead of pursuing a formula. Tips to help your kids choose generosity. Help for moms paralyzed by fear. Ways in which God uses our kids in spite of us. Pursuing God’s mission for your own life and inviting your kids along. Discerning what to say ‘yes’ and ‘no’ to based on your answer. I love all of your podcasts and I’m listening like crazy as I just discovered it. I especially liked this one. 🙂 Thanks for the work you do! 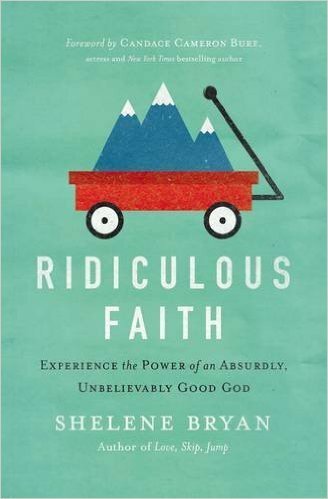 I just discovered God Centered Mom and have been scrolling through and listening to all your podcasts. THANK YOU THANK YOU THANK YOU!!!. I have loved them all so far – they are such a fantastic reminder that we are not alone and that none of us have it all together and that that is okay! This podcast in particular was amazing – can I just be friends with you guys????? Because seriously it was like you guys were talking right to me! Wow. Just Wow. Heather thank you so much for doing what you’re doing – God is using you in such amazing ways, it is so beyond inspirational!!! Humbled to be a small part in allowing God to move and speak to you in your faith journey. Keep walking in His ways, sister!